What? You haven’t heard of this book? 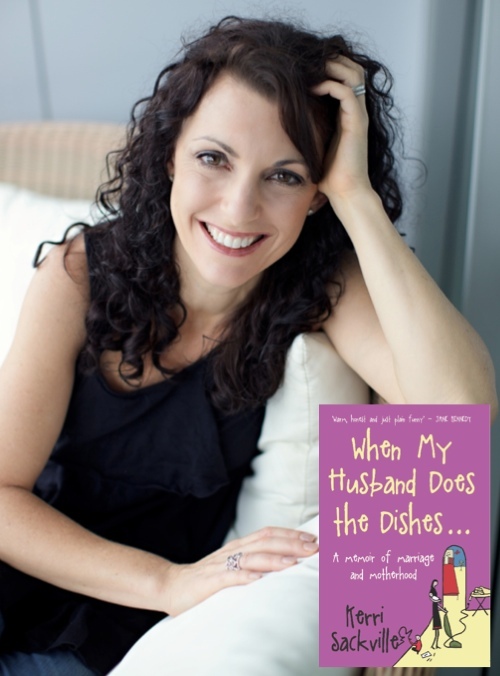 Clearly, you haven’t been hanging out on Twitter, blogger and author Kerri Sackville’s second home. Actually it’s probably her first. Anyway the book – just like Kerri’s blog – is roll-around-on-the-floor funny. It’s in stores from tomorrow and I suggest you get your hands on a copy. Stat. 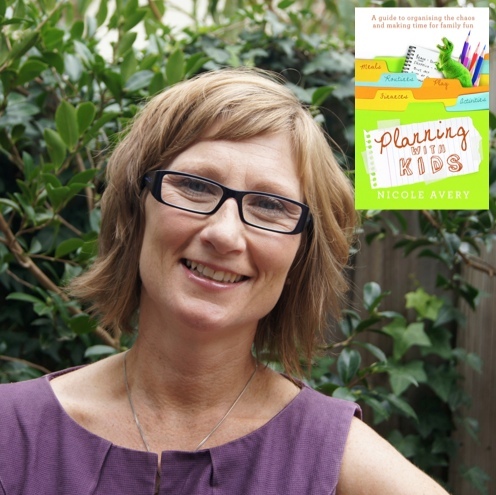 Also, launching this week (and I really wish I could have flown to Melbourne for her launch as well) is Nicole Avery’s Planning with Kids book. Nicole’s got five kids, she’s still sane and has written a book that will help other parents stay vaguely on track with this parenting gig too. Apart from *meeting* both these incredible women on Twitter and getting to know them via their respective blogs, they both would not have been launching books this week had it not been for the power of blogging and social media. Here’s what they had to say about their individual blog-to-book journeys. Did you always think that you “had a book in you”? The funny thing about now having a book published is it has brought me back to an original career path I chose not to take. When deciding my uni preferences in year 12, I decided to take a practical approach and chose a Business Degree (Finance) over an Arts Degree (Professional Writing and Literature). I was going to be moving from the country to Melbourne and it was a big expense for my family, I thought the Business degree was more likely going to help me get a job. I thought if I wanted to write, I could find a way to do that later on. When I started blogging at Planning With Kdis, it was with the intent to learn some new skills and share what I learned so far on my parenting journey. Once I had been blogging for about a year, I thought my content could translate across into a book. How has writing a blog helped you in the book writing and publishing process? Without the Planning with Kids blog there would be no Planning With Kids book. If someone said to me last year, “we want you to write a book in four months”, I would have laughed hysterically and politely declined the opportunity. The book contains content that had been published on the blog, but was rewritten to fit the style of the book. So even though I met with the publisher’s in September 2010, started on the manuscript only then, I had been writing the blog for nearly three years. The manuscript was submitted at the end of December 2010. Writing the blog not only gave me content to draw upon, but I had been “practising” writing by posting 3 -4 times a week. I had created processes to use my writing time effectively and it was a matter of increasing the intensity of this, not starting from scratch when I started the manuscript, which with five kids would have been impossible. How has social media played a part to date and as the book launches? An acquisition editor from Wiley found my blog via twitter, sent me an email and asked me had I thought about writing a book. Without social media I would most likely still be unpublished. Even though I was approached by Wiley, my proposal still had to pass their manuscript submissions committee. In my proposal I detailed my social media following – twitter, facebook and the blog. Publishers now expect authors to have a social media base to be able to leverage to sell the book to and create publicity. My social media following also gave me more leverage when it came to contract negotiations. The Planning With Kids book is officially due in stores tomorrow (May 1). I am selling it from the blog, so had the ability to send my copies out before Easter. The buzz on Twitter and Facebook has been fantastic. Not only has it been an amazing feeling for me to see photos of the book in reader’s hands via Twitter, but I have had sales from it! No! I had no intention of writing a book. There are so many brilliant books out there and I had no interest in adding to the pile just for the sake of it. But after I’d been blogging for about nine months I had an idea for a unique, tell-all book about marriage and motherhood, and I just had to write it. Hugely. For one thing, I didn’t have to go out and find an agent – she found me. Another blogger who liked my work contacted Pippa and told her I was writing a book, and she signed me when I was halfway through. By the time the book was finished she had publishers reading my blog and keen to see my manuscript. I can’t even imagine how it all would have unfolded without my online world. What, apart from the wild speculation on Twitter about my outfit on the night???? Social media has been integral. I’m a major Twitter addict and a bit of a Facebook buff , and have been awed by the support that’s out there for me and the book. People are tweeting and blogging about the launch and offering me helpful suggestions about what to wear (I’m particularly loving the tiara-with-gold-bikini-combo) so it’s been awesome. They absolutely are … your turn next, Bron! They are both amazing writers, I always enjoy reading both their blogs so I’m sure their books are amazing as well! I cant wait to be able to get them both. With 5 kids I sure as heck need a good laugh and a organisation plan! Looks like you had a great time at the book launch! Its so nice to see so many mummy bloggers together in the one place! I see some familiar places who’s blogs I read! Hi Kirsty, yes I reckon with both books on hand you’d definitely be on the right track! I love our photo!!! Email it to moi?? Pretty please? It was an awesome night and huge congrats to both Nic and Kerri. Go bloggers!! Yes, Brenda, Bloggers do rock! What a great write up – sound like you had a lovely time in Sydney (congratulations on your Jasmine award btw)! Thank you for the interviews with Nicole and Kerri. Mine is more a visual inspiration blog than a written word one per se but it was really interesting to hear about how social media made their books possible. Nice one ladies! Thanks so much – I would buy a visual book based on your blog! Yes, bring on AusBlogCon2012! – seriously great to meet you and I think there should be more strong red cordial presented in the form of French Martinis. Ah, ’twas a fun night at KS’ launch, and you’ve captured it brilliantly! I love the look and sound of Nicole’s book too. I’m gonna get myself a copy. I’m quite in awe of her! So, so much fun, Jodie … and very glad I travelled from north of the north shore! Nic’s book is fantastic. I plan to implement both her and Kerri’s strategies in my life!! LOVED meeting you too Chantelle. Next time hopefully more opportunity to chat. Great post Nikki – great read. Would you like me to send you the “other” photos that didn’t make it on the blog? You deserve every success – I’m half way through the book and loving it. It was SO great to see you – loved your Ruth Tarvydas shrug. Thanks for the lovely write up and interview Nikki. Fabulous photos from Kerri’s launch! I wish I could have jumped on plane to yours too but had to get back for school run! See you in Brisbane in June.